Ocean Blue B&B has been operating since 2000. Set in a beautiful parkland which runs down to the beach, Ocean Blue is an ideal quality adult getaway location. 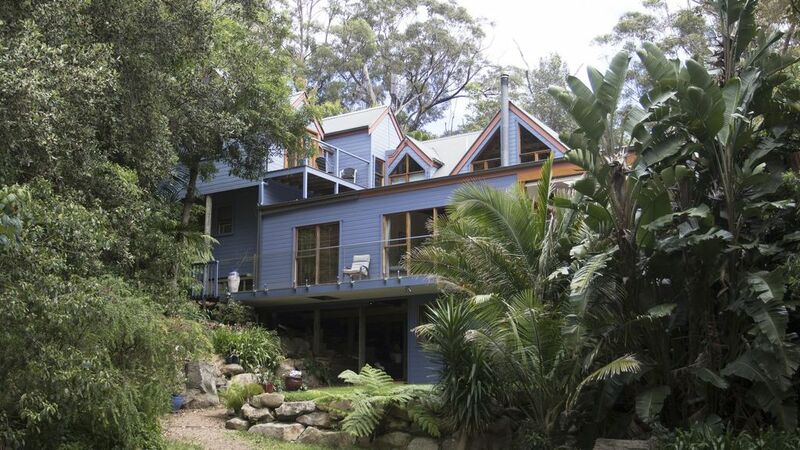 Just 50 minutes south of Sydney CBD and 35 minutes north of Wollongong, We are adjacent to the magnificent Royal National Park and within a 10-15 minute walk of the famous Sea Cliff Bridge at Coalcliff. In December 2016 sees the opening of the first stage of of the Grand Pacific Walk. Oceanblue B&B is ideally situated to enjoy the magnificent experience. Your host, Ian, has over 16 years experience in travel and tourism, and is passionate about exceeding your expectations. Over 50% of our guests are repeat guests. The Beachcomber Spa Suite is located on deck two of the house and comprises of a large bedroom with a king size bed. The suite has a glorious view of the ocean to the east. The en-suite has both a walk-in in shower and a spa bath. There is also a separate sitting room for your exclusive use. The Sandpiper Spa Suite is located on deck five (the ground floor) and offers a queen-sized bed. This suite boasts a designer spa suite complete with a vertical garden to add to the tranquility. A large lounge room with contemporary furnishings completes this stylish experience. If required a rollaway bed can be added to either lounge room. (nominal fee applies). Please note that prices quoted are per suite for up to 2 people. To get accurate pricing only request a booking for a maximum of 2 guests. Loved everything about the place, exquisite!! We were delighted with the Spa Suite at Ocean Blue B & B, it was very comfortable and private. We also enjoyed the beautiful breakfasts served on the terrace. Our host was very amenable to our needs, nothing was too much trouble. All in all, a great experience. My partner and I stayed in the Beachcomber Suite for a weekend and we really enjoyed it. House was clean, secluded, had a spa bath and it was a 5 mins walk to the beach! What more could you ask for a weekend away from the city. We stayed here for one night and we wished it was longer! Everything about this place is amazing and I cannot speak highly enough of Ian, absolutely everything was perfect. We stayed in the Sandpiper suite for 2 nights while visiting Stanwell Tops for a wedding. Ian's warm and friendly hospitality ensured we had a lovely time, and the rooms were comfortable with plenty of room and privacy. Great location, right near the beach and a few minutes from Tumbling Waters. Will be back! Best BnB we ever had!!! Ian and Matt are wonderful hosts, like we never had before! Seems like they’re born for being hosts. At breakfast you sit together with them and the other guests and first enjoy a delicious combination of fresh fruit and yogurt. Afterwards you get eggs or omelette with toast the way you like it. All this sitting on a marvellous terrace next to rainforest and sea. Unbelievable!!! The 3 suites are very nicely decorated and equipped with everything you need. Highly recommended!! !